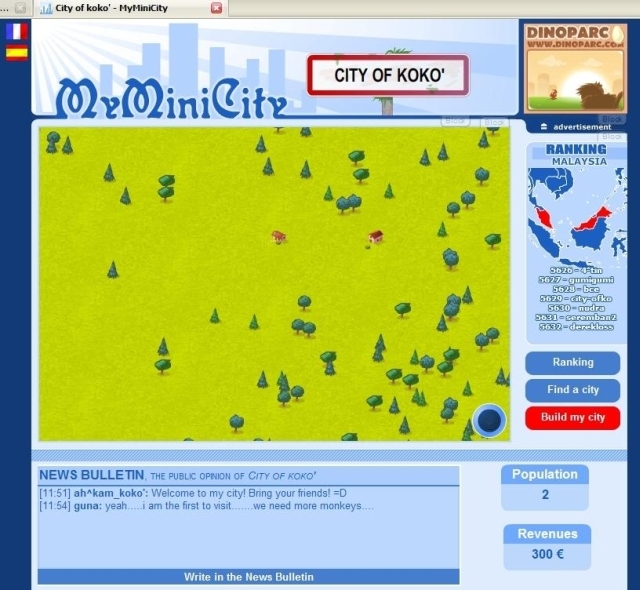 Today I discovered a website, My Mini City, with a very cute idea! What you do is you create your own city & promote it to your friends. You dont get to control what goes on in your city nor can you build anything in your city. The development of the city is totally out of your control. 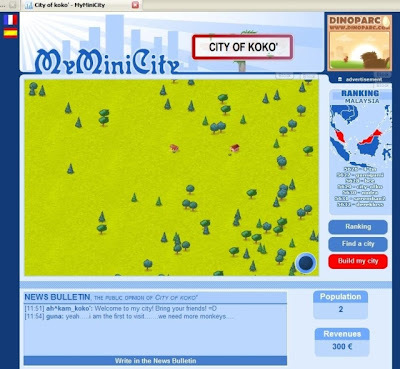 The city develops as people visit the website of your city. Do visit once a day to help the city grow!